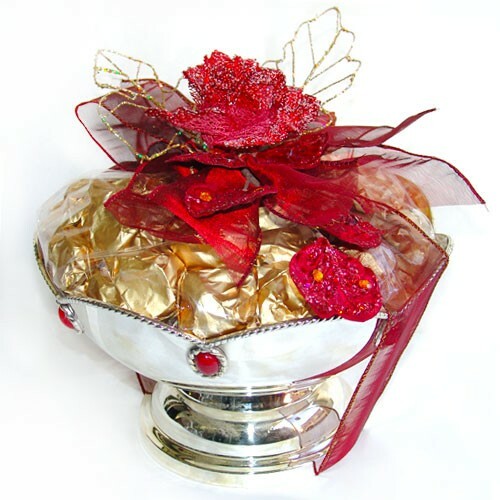 Nicely crafted 26 cm silver bowl, decorated with red stones on the side and filled with one kilo of delicious chocolate. If you're looking for a special gift to send to your friends, family, and loved ones, look no further. This is an ideal gift for Ramadan, Mother's Day, Easter, or any other occasion.